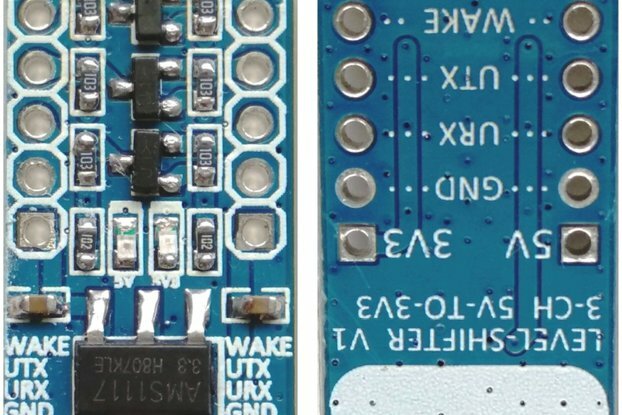 Note: the linear power regulators on this board perform the best (i.e. generate the least heat) when the voltage of the power supply is only a little higher than 5V (but at least 6.5V is required to bridge the drop-out voltage). A multi-voltage multi-connector power adapter (preset to 7.5V) is available as an option to this board. 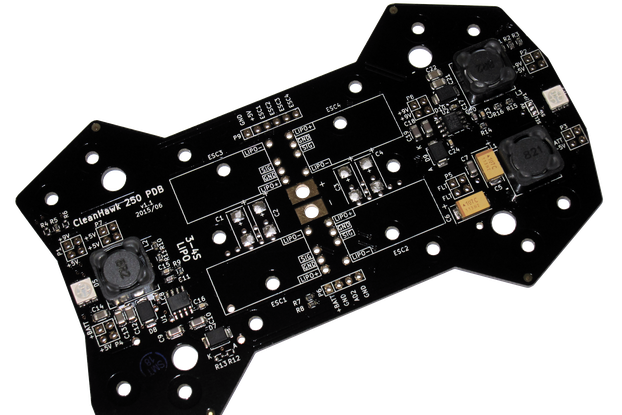 If you prefer to use an external regulated/switched 5V power supply that you may have already available, there are a separate connector and switch on the board allowing you to bypass the built-in regulators. 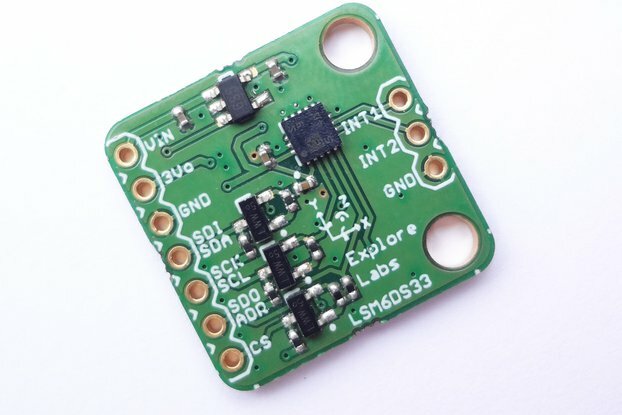 For basic applications, the 5V power supplied through the USB port over the ISP/UART connection will be sufficient. 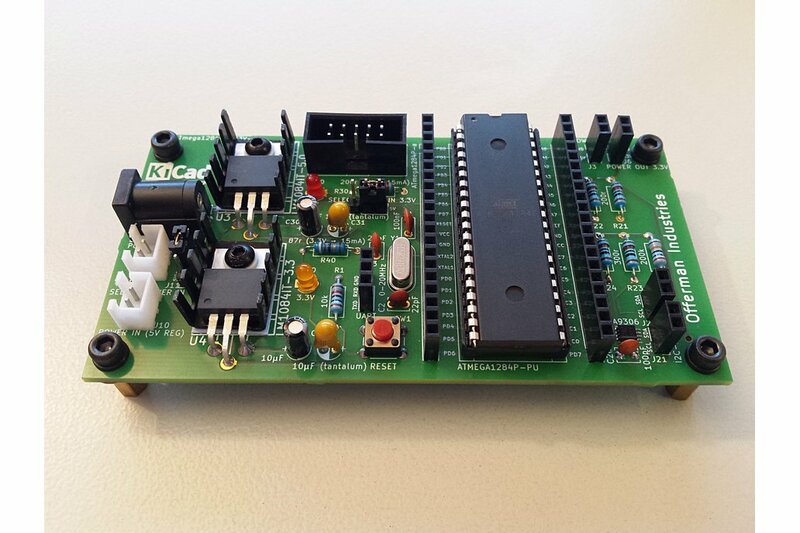 All boards have been tested successfully before shipping in a setup connected to a 3.3V ESP8266 board. 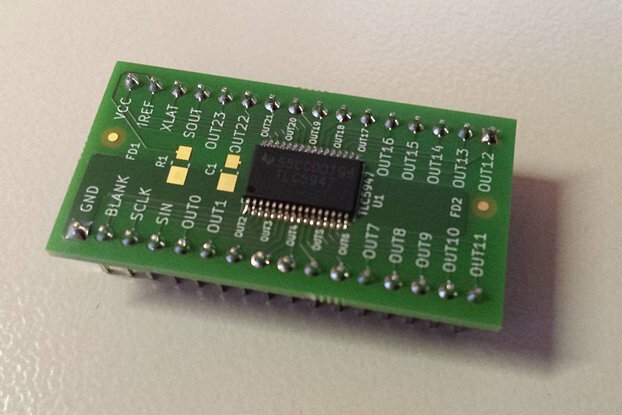 An original Wemos/Lolin D1 mini Pro board (featuring an ESP8266) is available as an option to this board. 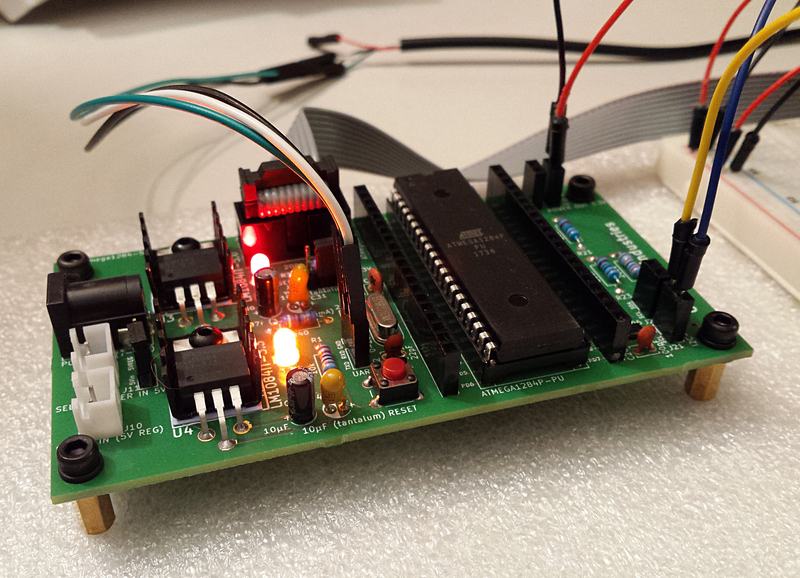 In action: ATmega1284, DS3231 RTC, and Wemos D1 mini all talking to each other over 5V and 3.3V I2C bus.